Get To Know Martha Lou Gadsden. In honor of International Women’s Month, the International African American Museum will be highlighting women who have, through their work, made an impact throughout Charleston and/or the state of South Carolina. 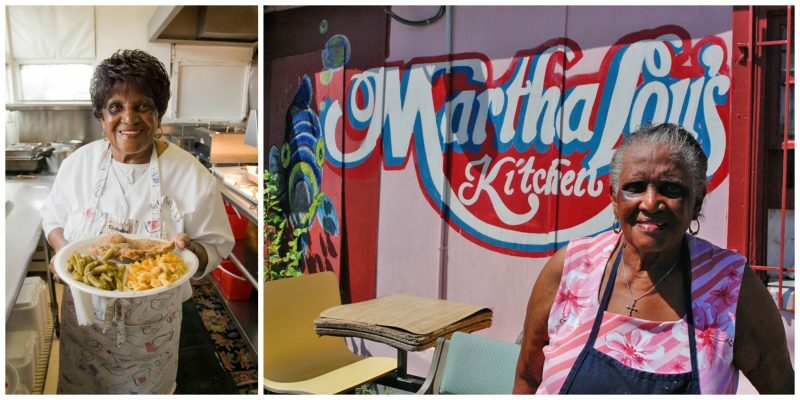 In 1983, at 53 years old, Martha Lou Gadsden opened Martha Lou’s Kitchen in the hull of an abandoned service station on Morrison Drive. On that first day, she served hot dogs and soda but as time went on, she gradually expanded her menu offerings. Visitors to Martha Lou’s can expect some of the best home-cooked dishes in all of South Carolina: okra soup, lima beans, beef stew with oxtail, and her legendary fried chicken. Martha Lou doesn’t commit her recipes to paper; rather every dish is made from memory. Today, with the help of her daughters and grandchildren, she can still be found stirring pots, taking orders, serving up hot plates, and chatting with customers from near and far who visit her modest pink restaurant. Martha Lou says she loves what she does and, as long as she can keep going, retirement isn’t in her plans. To prove this point, in April, Martha Lou and her family will be opening a second location in North Charleston. Her granddaughter, Melanie Alston, will be responsible for the shop but you can trust that the now 80-year-old Martha Lou will have a hand in making this new store a success as well. Previous post Get To Know Mary Moultrie. Next post IAAM Board of Directors Meeting Set for May 18th.